Tonight I spent a great evening with my parents watching part of the gift my sister and I got my dad for Christmas. He’s a huge Bee Gees fan so I found this documentary on their career. Luckily he hadn’t bought it yet! I have to admit that I enjoy the Bee Gees and have been listening to their music for some time now. But after watching this film, I have a new found respect and understanding for what they accomplished. Not only did they sell over 100 million records (putting them in the top 5 all-time) but they survived five decades. The world changed, music changed, generations came and went, but they were able to transform not only their music but themselves. They remained relevant but keeping to the motto of their first manager Brian Epstein (of The Beatles fame): “write music not for today but for 40 years from now”. The famous high-pitched, falsetto sound of Barry Gibb that my generation thinks of when we think of the Bee Gees was not with the group originally. That came later as the influence of R&B and African-American music entered their recording studio (thanks to a new manager Arif Mardin). While they probably are best known for disco music from the Saturday Night Fever soundtrack, their earlier and later work was revolutionary. 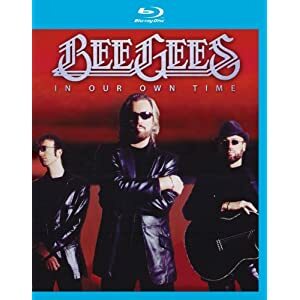 If you’re interested in an engaging, well produced 2-hour documentary on one of the most popular groups in music history, I highly recommend Bee Gees: In Our Own Time.